What side are you on? Chipmunk-cheek pockets or seatpost sagging saddlebags? When the Velominatti weigh in and rule against any bag disrupting the clean lines of our bikes, we cyclists listen. Earlier this year, we did a study on cycling ettiquette by polling cyclists across several very popular forums. We looked at data on all kinds of stuff like wave vs. nod, and calling out when passing. Well, we’ve had some requests from readers recently to revisit one certain question: whether or not the majority of cyclists ride with saddlebags–or whether they think they’re just plain uncool. I once was met with an uproar of chuckling when I asked a few riders on my cycling team what kind of saddlebags are cool. Apparently the words “cool” and “saddlebag” don’t fit together. Instead, to look “cool,” I started stuffing my jersey pockets with everything I could ever need on a ride, which I’m pretty sure is merely reminiscent of another type of saddlebag. 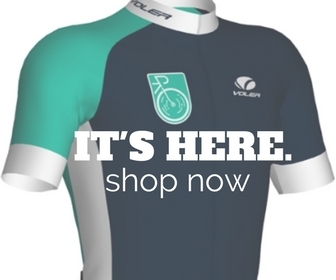 Perhaps not surprisingly, this is one of the most hotly contested trends in cycling culture. Because clearly riders who carry their flat fixing in a pocket simply can’t be seen with riders who carry it on their seatpost. But no matter what, no one wants to give spare tubes to the large number of riders who don’t carry any flat fixing stuff at all. Because the coolest cyclists only carry the other kind of saddlebags. So that’s what we found before. This time, we’re actually going to address two different questions. 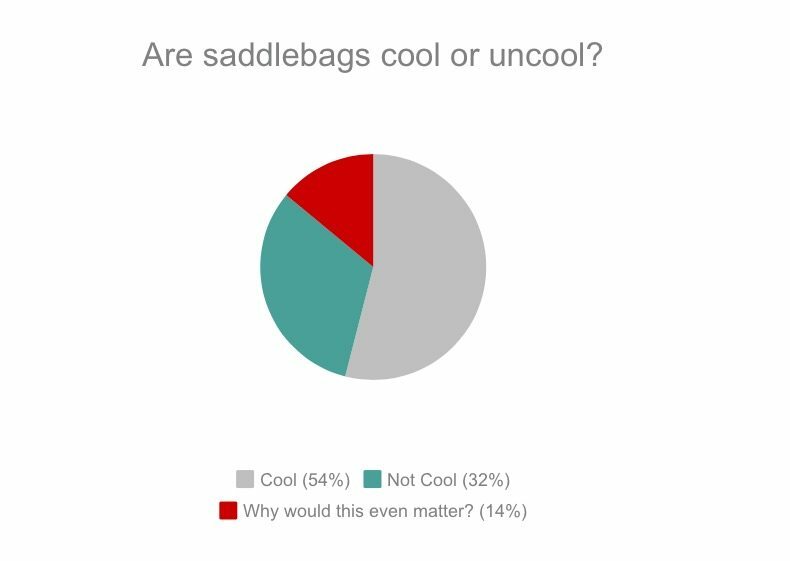 Because this is something of a popularity contest, we first studied whether or not people found saddlebags cool or uncool. Next, we looked to see what percentage of cyclists claim to use them. Finally, we put the results into handy and aesthetically pleasing charts. No one hates a pretty chart. What actually surprised us is the number of people who scoffed at our question for being silly, but proceeded to decry the virtues of the little storage solutions. Polarizing. 2. 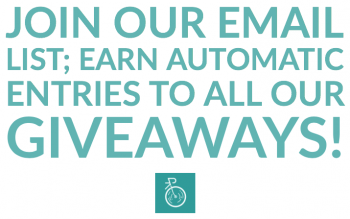 Do You Ride With a Saddlebag? Perhaps less of a surprise was the split between the users and the detracters. Not much of a difference from our figures from before–in fact, the number of saddlebaggers grew. 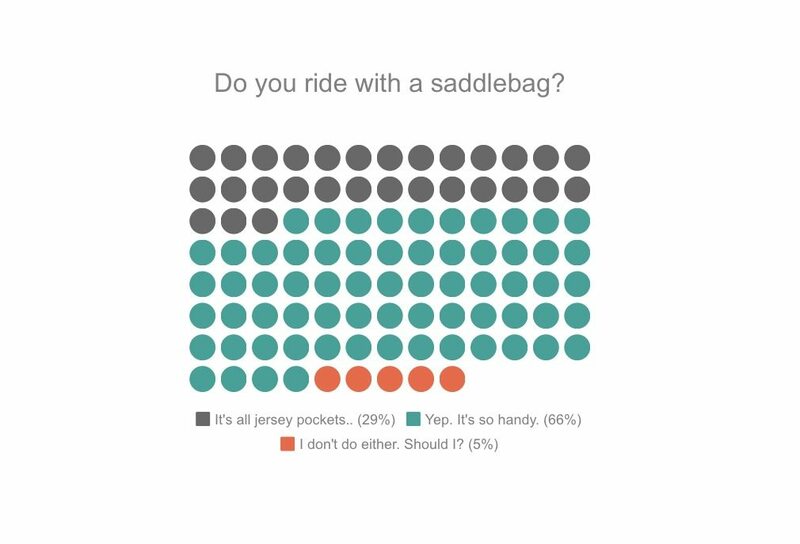 But we think what this actually shows is that the majority of cyclists just don’t want much stuff in their pockets. Consistently. So what do you think? Cool? Uncool? Lots of people care, trust us. How did we get these figures? We took a sampling of 200 riders on each question. Some people we asked directly while others we merely observed based on comments. So, yah, it’s not completely scientific, but science doesn’t actually exist, right? SLO Cyclist's resident triathlete and cyclocrosser, Shane makes our site look pretty and is our official 'Cross and Triathlon Editor.